Jason Day’s preparations for next month’s US Masters have taken a hit, with the Australian missing the halfway cut at the Valspar Championship in Florida. After declaring the tournament would be a good test of his iron-play ahead of the first major of the year at Augusta, Day could only manage rounds of 74 and 71, leaving him two shots outside the cut. The Australian’s chances were effectively over by the third hole of his second round, after making a bogey at the second, followed by a calamitous double bogey at the third when his tee shot found the trees to the left of the fairway. From there the 31-year-old did well to play the remaining 15 holes in three under, but he was always fighting an uphill battle to play the weekend. Former US Amateur champion Curtis Luck heads the Aussie charge into the weekend, sitting at four under the card and just two shots off the lead. Luck followed his opening round 70 with a steady 68 in the second round, despite a bogey at the last when he was unable to get up and down from a greenside bunker. Paul Casey and Austin Cook share the lead at -6, with three players, including former world number one Luke Donald, sitting one shot back. For Casey, last year’s winner, the event offers the chance to achieve something he hasn’t done previously. “I've never defended a professional event. I would love to do that,” Casey said. “Mentally last year I was hoping I would win, wanting to win. This year, knowing that I have won around here, I have a slightly different approach to it. Matt Jones (-1) was the only other Aussie to make the cut, while John Senden (+3), Rod Pampling (+4) and Cameron Davis (+6) all joined Day in making an early exit. 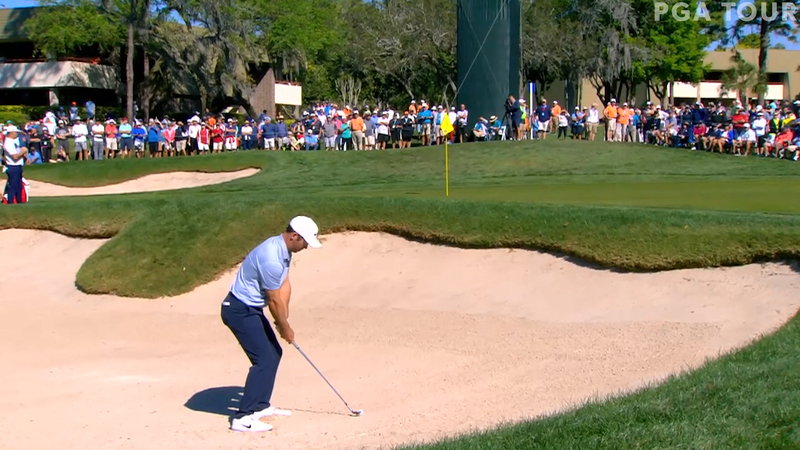 Follow all the action from the Valspar Championship on GolfTV.